Mercy Gunderson is back! After the events of No Mercy she's trying to put her life in Dakota in order when an old friend from her military days shows up. He's trying to get people to back up Titan Oil, a company that wants to put a pipeline through Eagle River County. 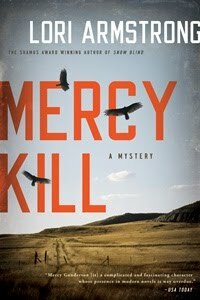 When he ends up being murdered Mercy sets out to investigate, clashing with her secret lover, the local sheriff. She even decideds to campaign for the position of sheriff, following in her dad's footsteps. Mercy is a pretty tough chick, and she'll need to be because there's some very evil criminals involved. Mercy is a great character, way tougher than girls like Warshawski or Milhone, wilder than even moste male characters and still with a soft side. The way she deals with her family and her military past is just as important as the crime stuff. Because Mercy is so hardboiled a character though it never gets too sappy or too much like chicklit. Lori really outdoes herself this time with the army flashbacks which make you feel you're transported over to the battlefields along with Mercy. More excellent stuff from an already excellent series. Here's a note that I've been interviewed for Murderous Musings, a cool blog by some cool writers like Beth Terrell, author of the excellent novel Racing the Devil. I was asked some pretty good questions and hope I provide some entertaining answers. 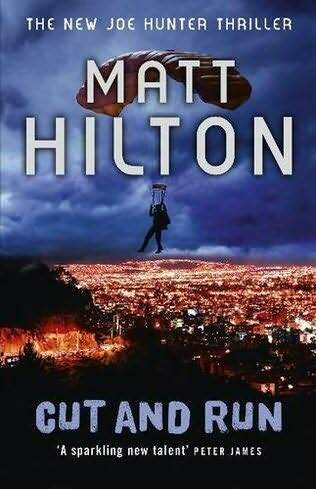 You don't read Matt Hilton's books for the intricate mysteries or deep characterization. You do read them for the fast action. 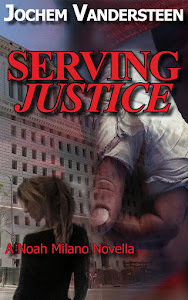 This new installment in the Joe Hunter series won't let you down. Traveling from Miami to Columbia we get an interesting glimpse into Hunter's past as it looks like an old enemy is back for revenge. As someone seems to be impersonating Hunter he needs to find out who is killing people using his name and is aided by some old friends. If you love Andy McNabb, action movies or the Executioner novels this one's for you. As a writer I’m always interested in new ways to get my stories out there. As a fan of the PI genre I’m always looking for ways to promote the genre and it’s writers. As a rock reporter I’m well aware of the split EP’s that artists use to promote their stuff. A split album (or split) is a music album which includes tracks by two or more separate artists. A split allows more than one artist to split the production costs for one release. The same can also apply to the promotional costs of a single release. Splits also allow bands to expose their music directly to another band's fanbase. Usually, the bands on a split are of a similar musical genre. The idea of a split seemed like a great way to reach my goals. So, I started to look for authors interested in participating. The first guy I thought of was Tim Wohlforth, since I’d been enjoying his short stories online and I figured he wasn’t popular enough yet. I was in luck, he was willing to provide me with a Jim Wolf short story. The result is available for my visitors for free! Just e-mail me at jvdsteen@hotmail.com and put ''free split novella'' in the subject. Also, comments about this venture are welcome as well. If you're a crime writer and want to be featured in a split novella as well, let me know.